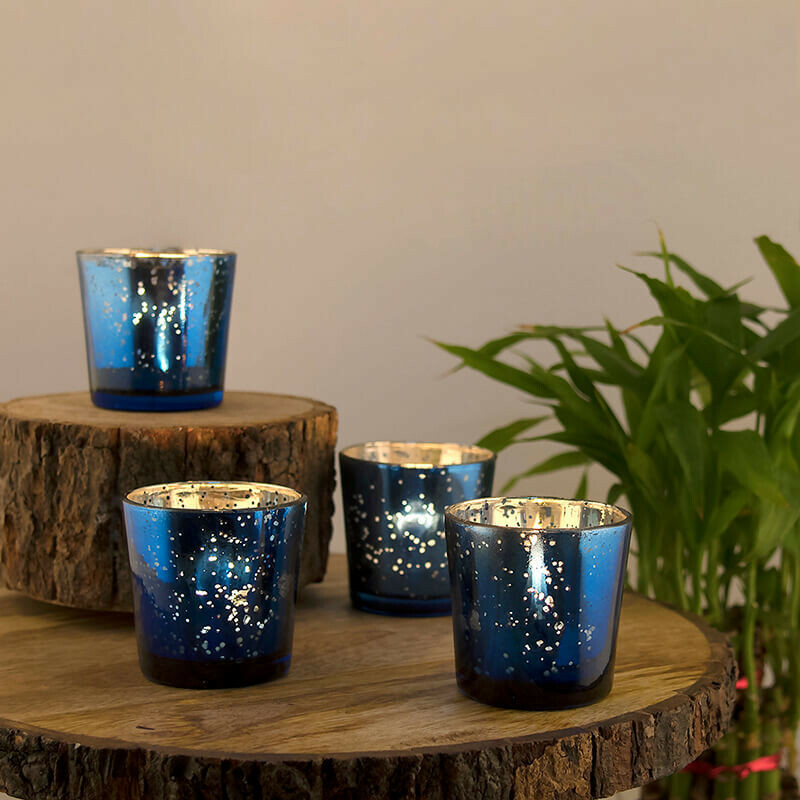 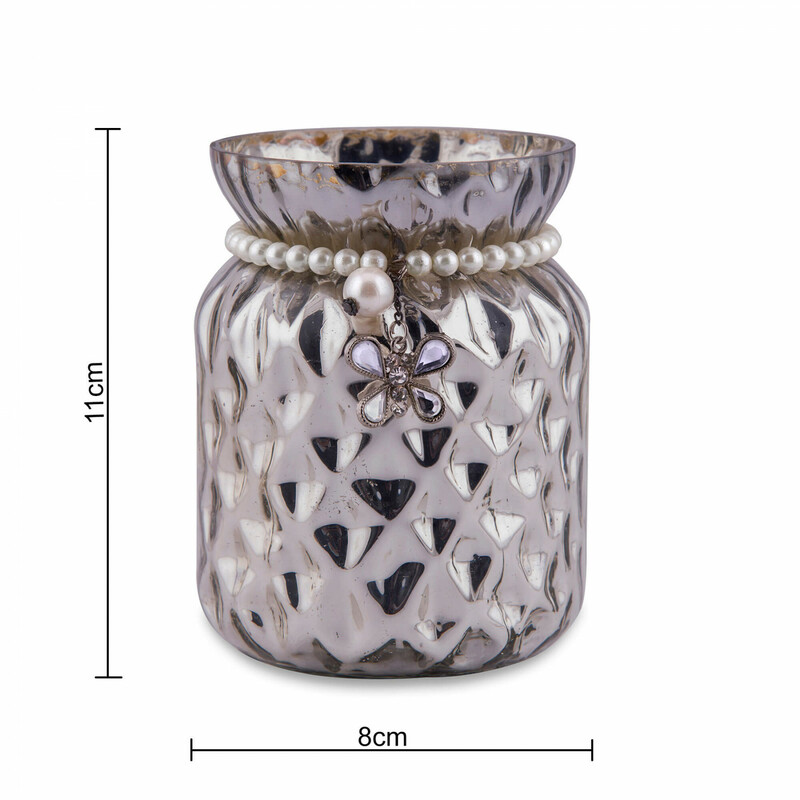 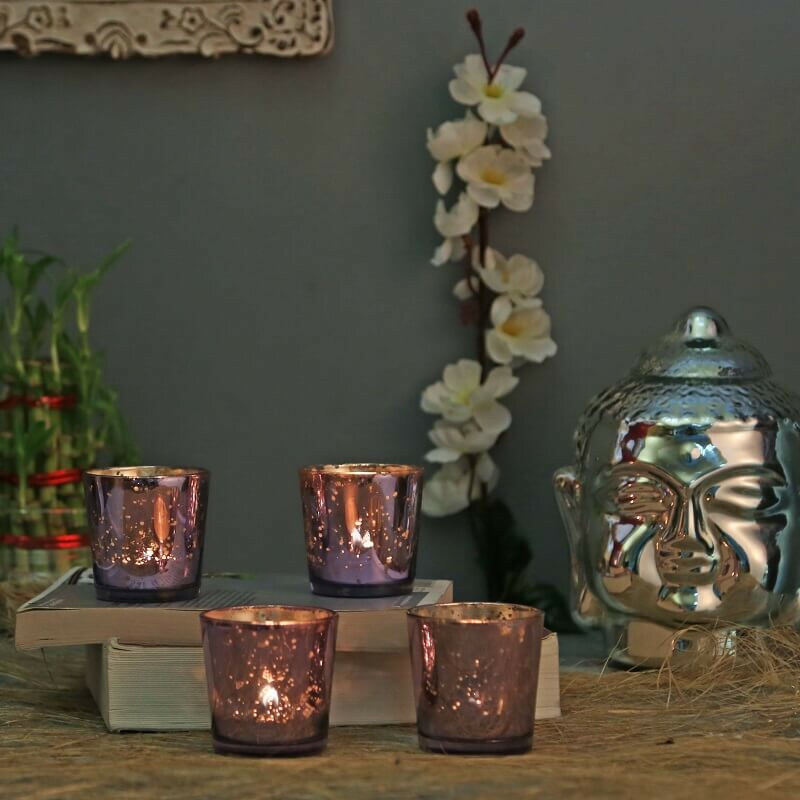 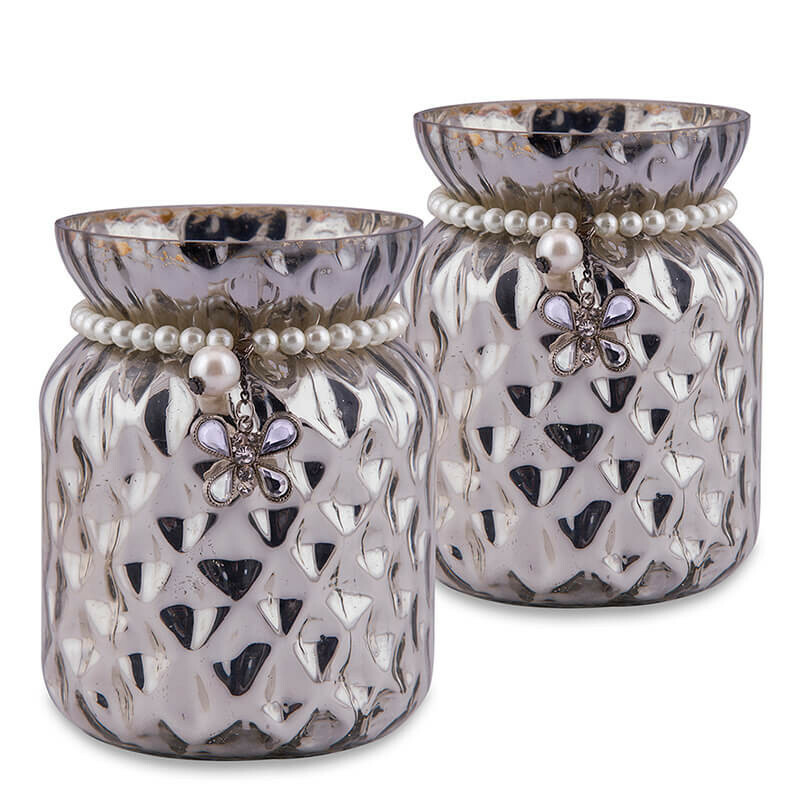 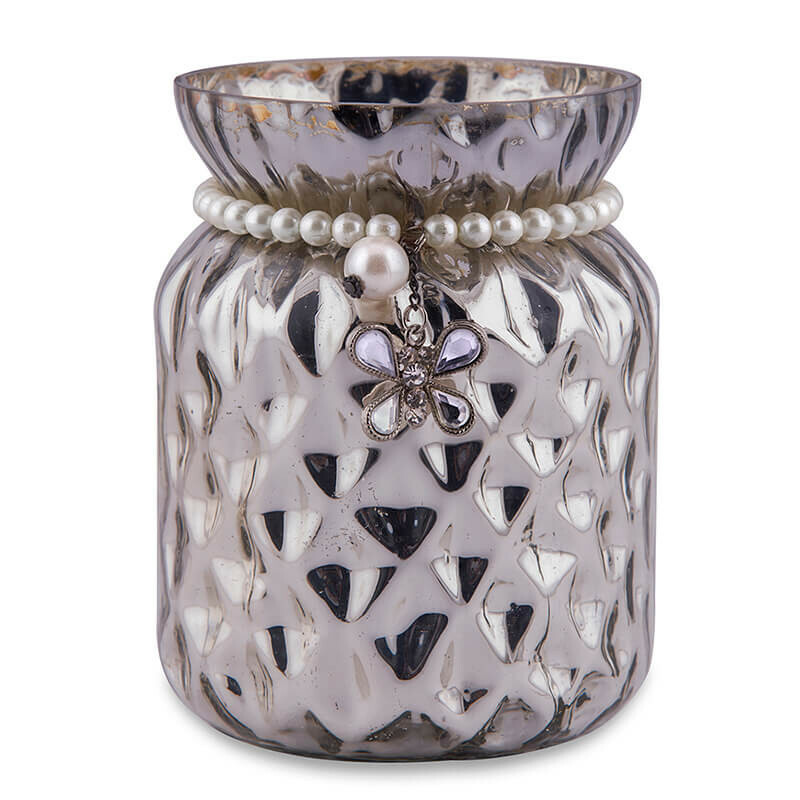 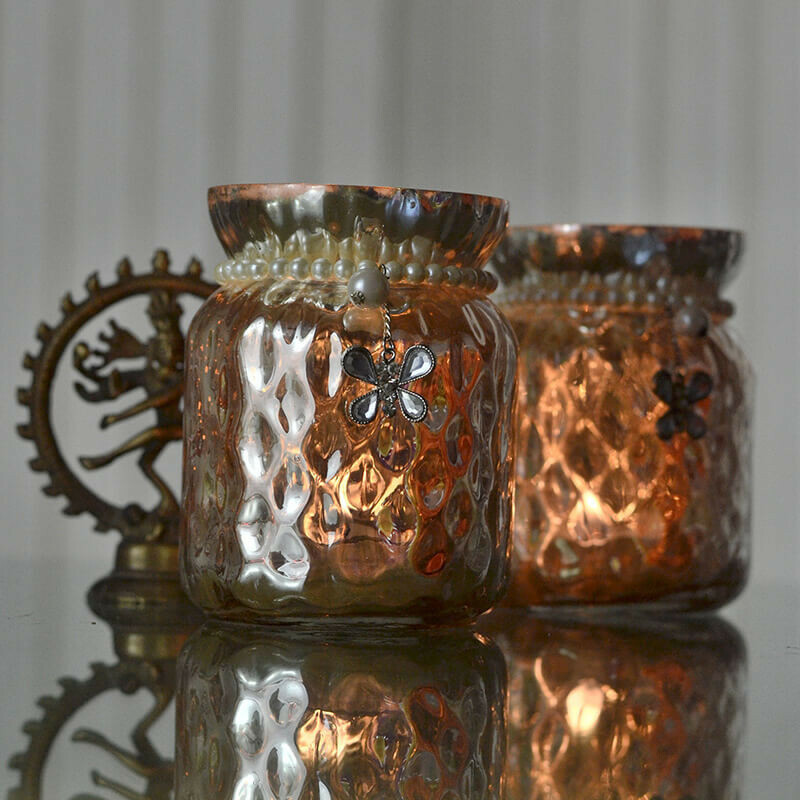 This exclusive Glass Jar Votive, is coated with Silver from inside and has designer surface , giving it regal touch and feel. 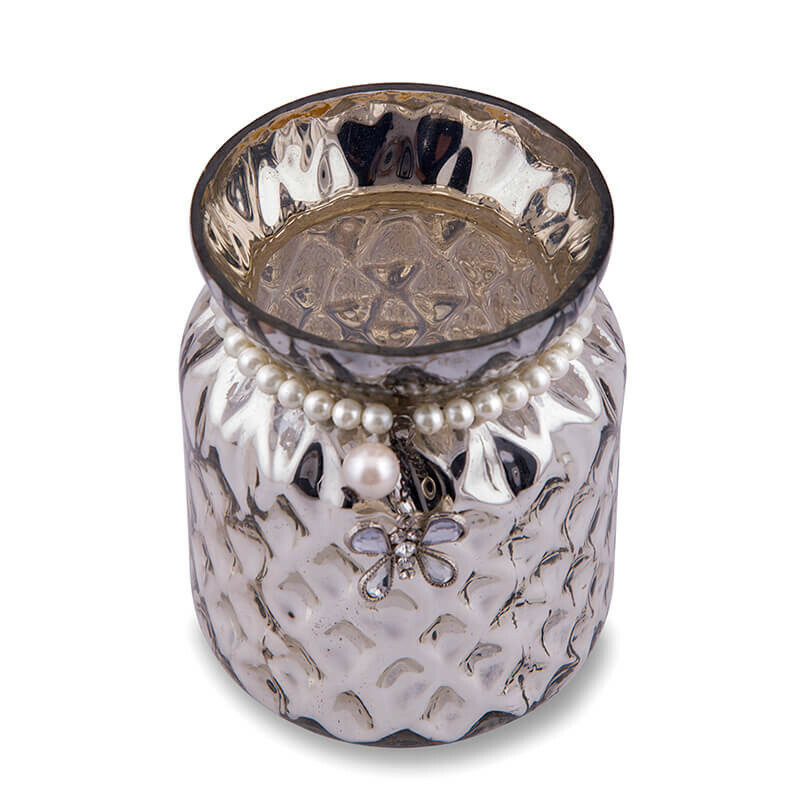 In addition decorated with a Pearl Neck to enhance its beauty and vintage appeal. 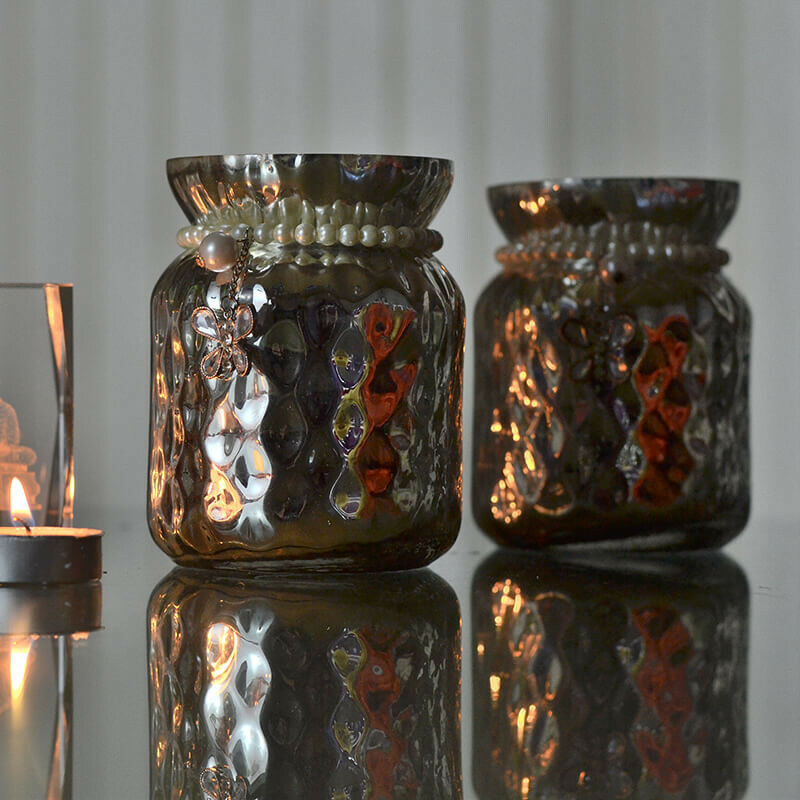 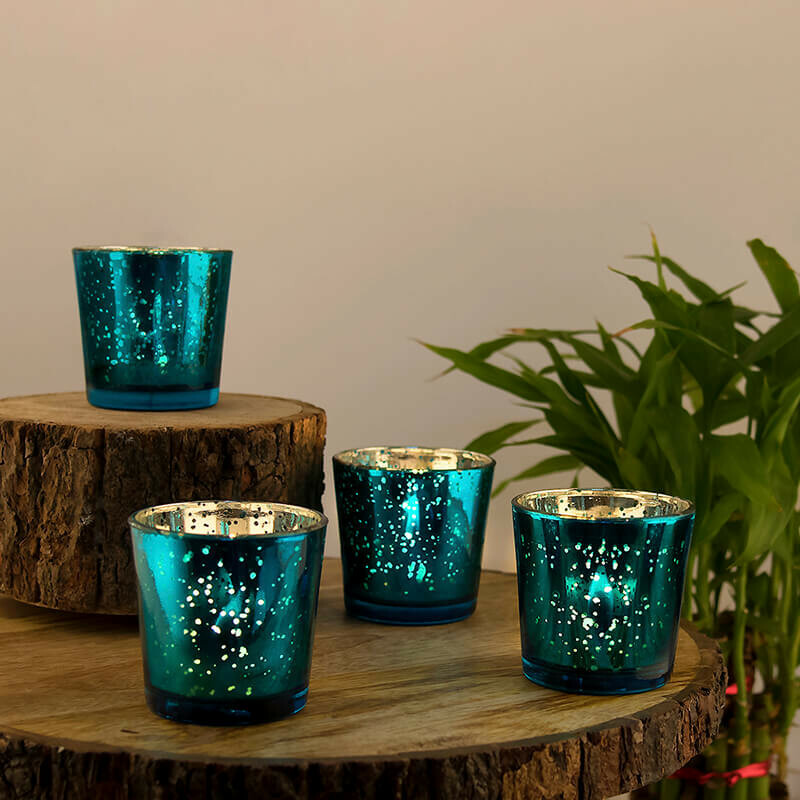 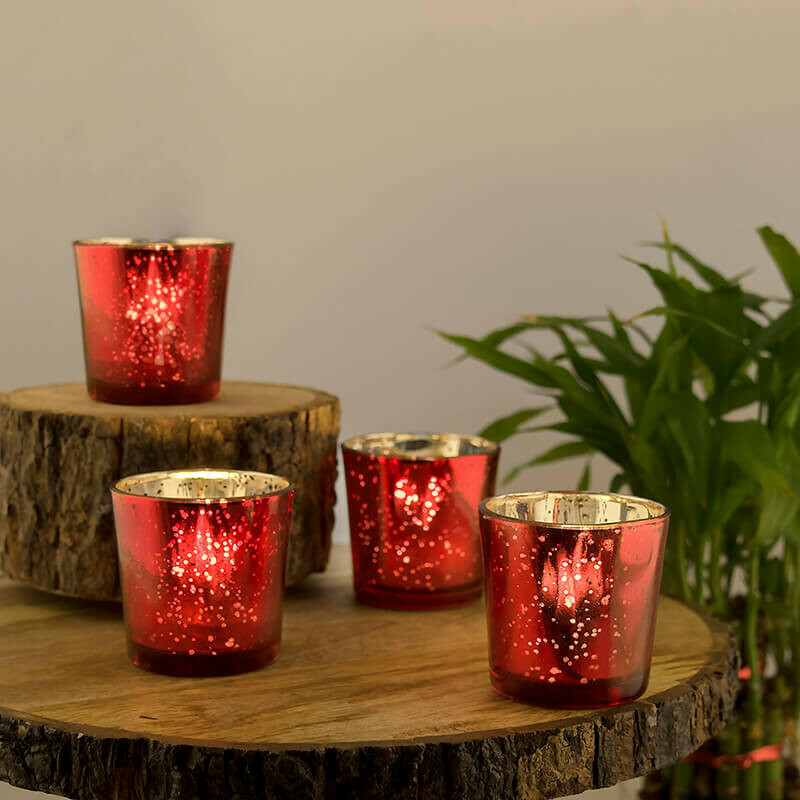 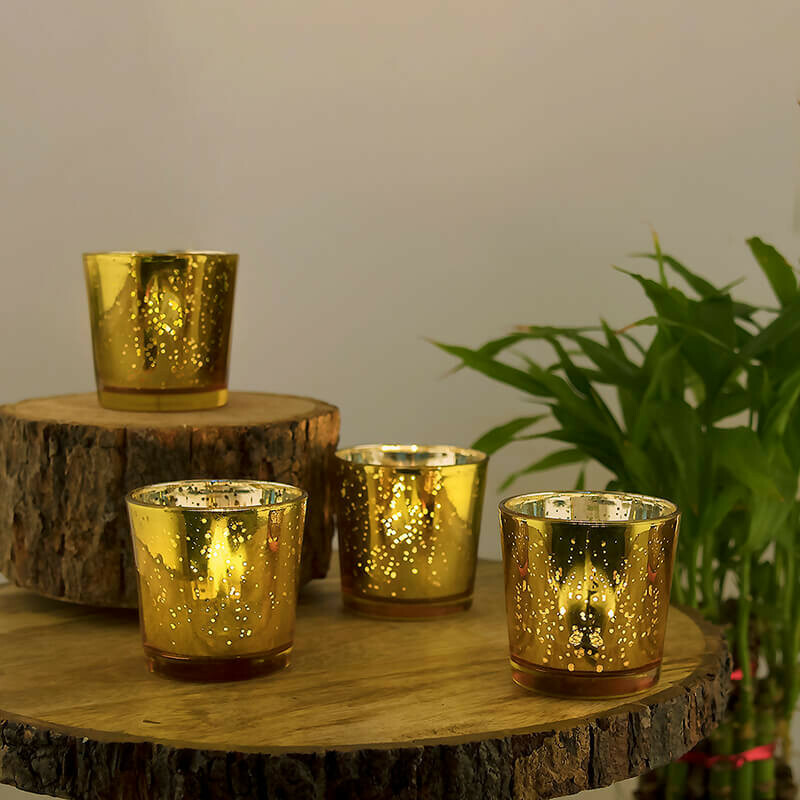 Simply light a wax Tea-Light inside or simply keep it alike.